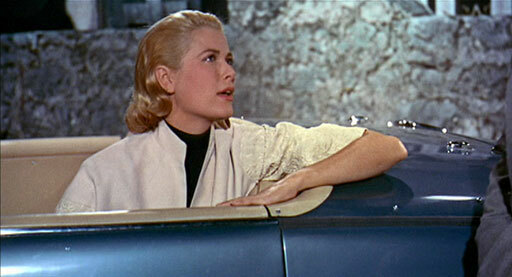 After a month filled with cool blonde beauties, Turner Classic Movies ends their November 'Battle' tonight with a couple of real contenders--Hitchcock Heroines Kim Novak and Grace Kelly. 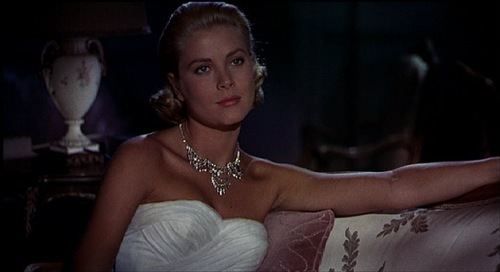 Kim, of course, was wonderful in Vertigo (1958), but Grace was reportedly Alfred Hitchcock's favorite blonde. Proving the point, she appeared in three of his films and would have made another but was unfortunately required to retire when she became Her Royal Highness of Monaco. 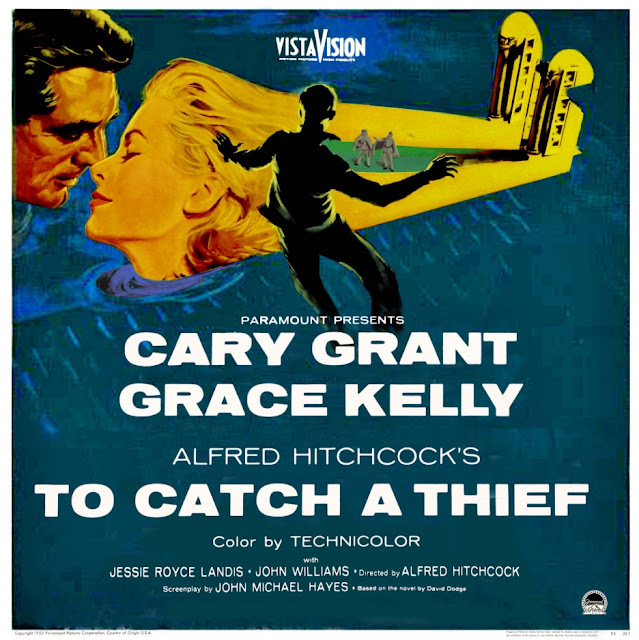 The movies that Grace did make with him--Dial M for Murder (1954), Rear Window (1954), and To Catch a Thief (1955)--are all quintessential Hitchcock and I'm thrilled to see that two will be on TCM tonight. 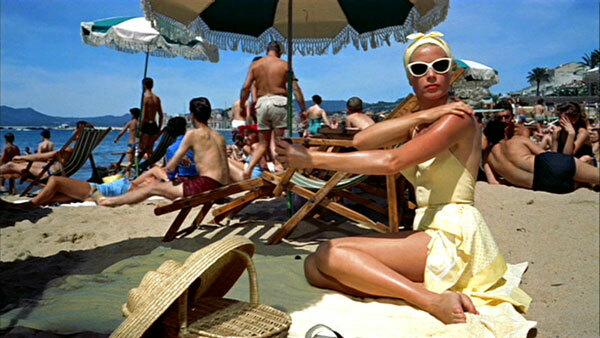 One of the reasons that these films are so well known and loved is their iconic style. 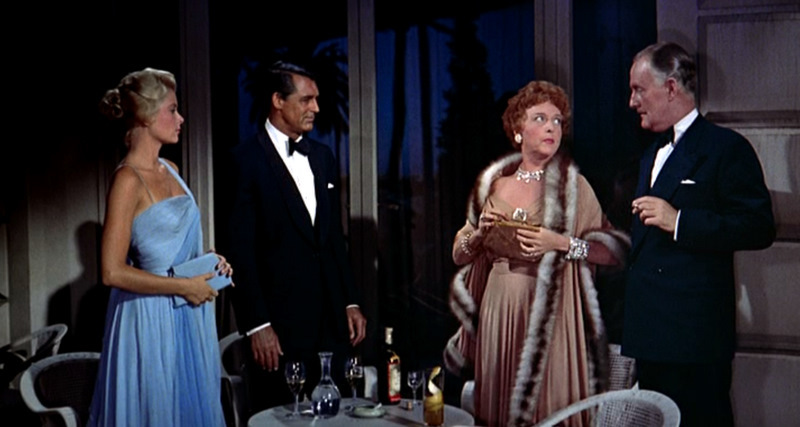 This style was largely established by the costume design of the great Edith Head. 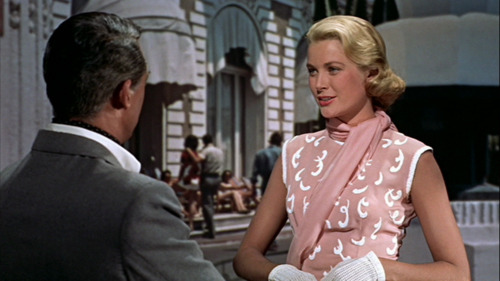 Since seeing Rear Window for the first time nearly two decades ago, Edith's classic minimalism has been significant to my own personal style. I've celebrated several of her well known wardrobes here on GlamAmor and have been longing to add my affection for the resort collection of To Catch a Thief. Often much of my vintage collection for GlamAmor is considered resort, so there couldn't be a better subject than Thief for the first of the Cinema Style File series in video. I'm excited about the evolution. 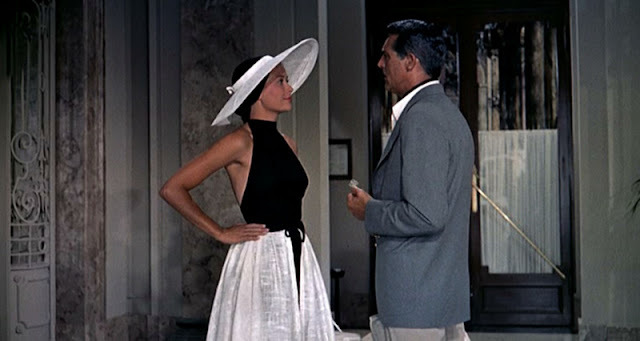 Just as I transitioned the Out & About series to video, I similarly wanted a show for the Cinema Style File where I could better share the silver screen's best style in costumes that continue to influence fashion today. I hope you enjoy it. With beloved film historian and host Robert Osborne returning to TCM tomorrow after a five month absence, I dedicate this to him. He continues to inspire me with his passion and presence. 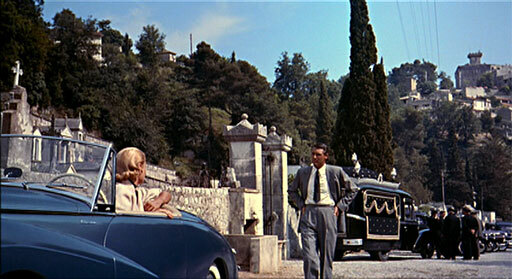 So sit back and watch the incredible cinema style of Alfred Hitchcock's To Catch a Thief. Great work Kimberly and Team! 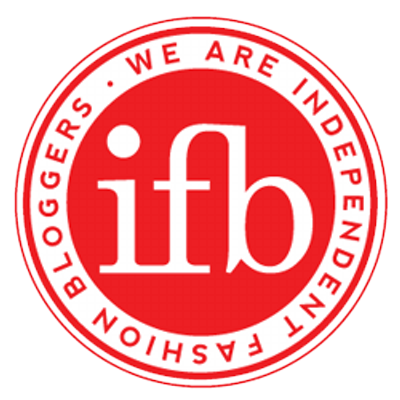 Another very well done, informative, and fun video and blog from Kimberly and GlamAmor! Thanks Kevin! It's hard work, so really appreciate the positive feedback. Glad you enjoyed it. BRILLIANTLY DONE! I FINALLY had time to watch this without interruption and Kimberly, you've outdone yourself! 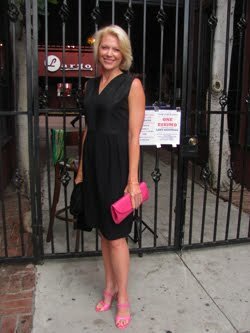 I love the way you tied your pretty dress to Grace's wardrobe (very, very smart and nifty!) and I love the images you used to spotlight the many amazing cruisewear items for Grace's character. 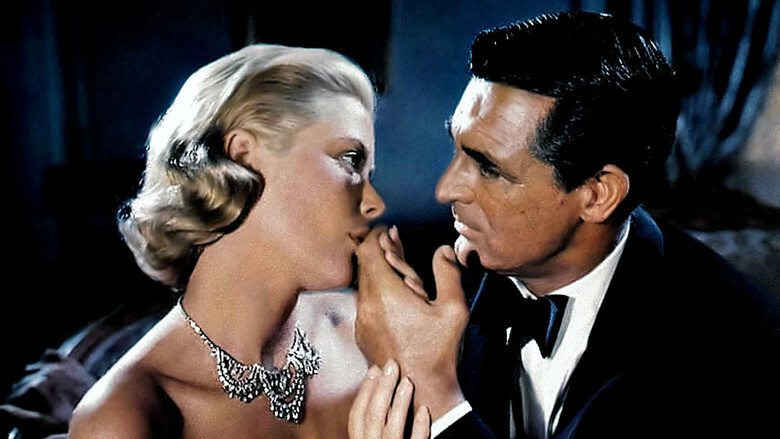 I'll be watching this again and get out my copy of TCAT to enjoy it with new appreciation. 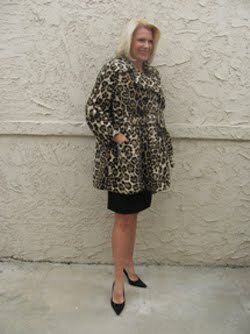 Totally professional, charming, chic, and lovely...I hope this gets a wide audience of style fans like myself. 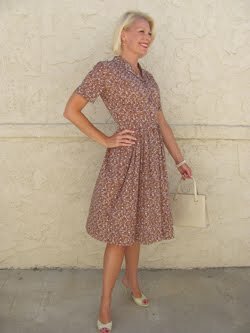 I'll certainly be posting it to my FB page to get the ball rolling. Wonderfully done! THANK YOU Kay! Love hearing your feedback on it. 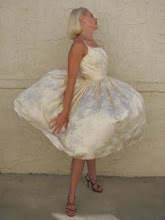 The dress I wore for the video is 1960s vintage, which I bought years ago. 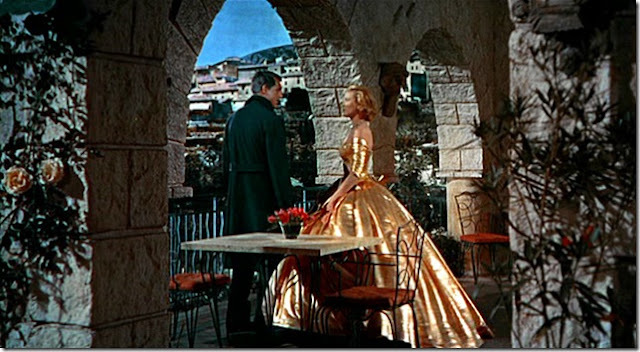 This movie came to mind at the time since it does indeed incorporate elements of a couple dresses from THIEF. Full circle moment that I was actually able to use it to illustrate that very point in the video. 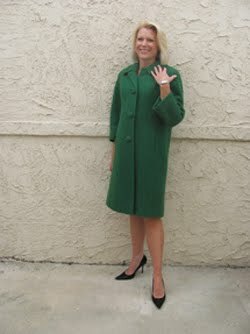 It's shape in light blue pique gets compliments any time I wear it out, and so glad you liked it as well! And thanks for sharing the video with others with such enthusiasm...your support means a lot to me. Kimberly, this was simply fantastic! I loved every second of it. 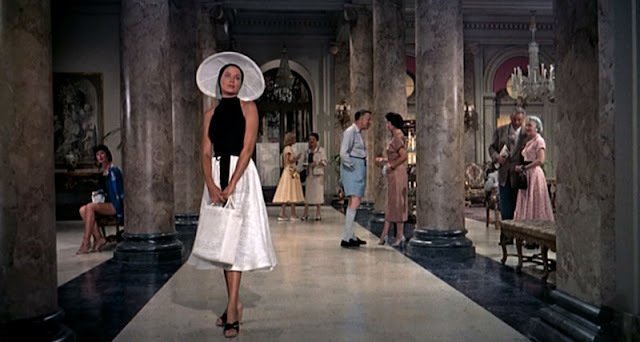 I really enjoyed the background information on Edith Head, all your detailed descriptions of Grace Kelly's beautiful wardrobe, and the obvious appreciation you have for both Head and Kelly. 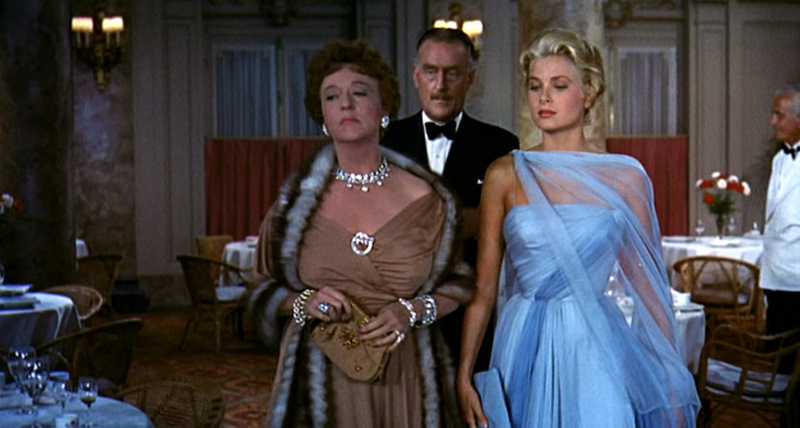 Plus, you looked lovely in your pretty blue dress. 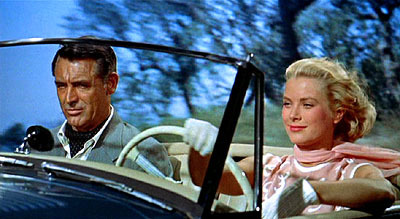 Cary Grant looks absolutely gorgeous in TCAT, doesn't he? The striped sweater and red scarf he wears early on are so elegant. 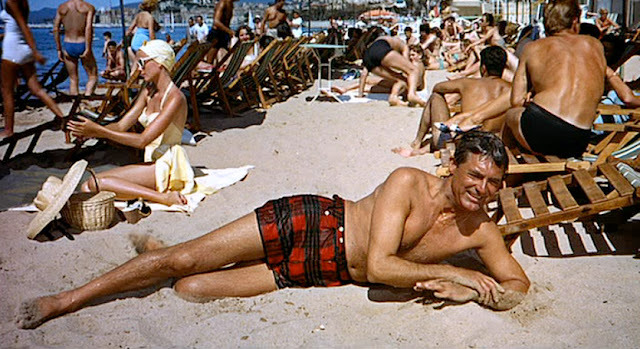 On another man they might've looked affected or dandyish, but Cary always wore his clothes with such ease and casual grace. He made whatever he wore look great.